Petrol and diesel prices are now 13p-per-litre more expensive than there were 12 months ago, according to the latest RAC Fuel Watch data. August saw yet another rise in the price of fuel, meaning that the cost of filling up has gone up for eight of the past 12 months. The cost of filling a 55-litre family car, like a Ford Focus, with unleaded is £71.82 – an increase of 91p on July and £7.32 dearer than this time in last year. For diesel, the equivalent cost is £73.29 for a tank today – 73p more than last month and £8.19 more expensive than at the end of August 2017. "We could even see pump prices heading towards the record highs of April 2012 when petrol hit an average of 142p a litre and diesel 148p." During September 2017, petrol was 117.51 and diesel was 118.37p-per-litre. But the combination of a weaker pound and an oil price of over $70 a barrel has sent prices shooting up. The average price of petrol in the UK is now at its highest since July 2014. Diesel is at its most expensive since the beginning of October the same year. However, at the time, oil was $106 a barrel and the pound was worth $1.70. At the end of August oil sat at $77.54, while sterling was only worth $1.29 - which means both petrol and diesel are far more expensive for retailers to buy on the wholesale market. So despite the lower oil price, the substantially weakened pound has caused fuel prices to skyrocket. 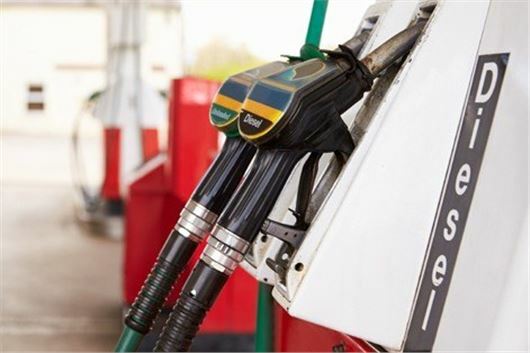 There have been no significant reductions in the average cost of supermarket fuel since 24 June, meaning by the end of August prices had crept up by around 4p-per-litre for both petrol and diesel. The North East and Scotland suffered the largest price increase for unleaded in August, seeing 1.81p-per-litre rise. In the South East unleaded was the most expensive across the UK at 131.46p. “With many factors at play on the global oil market the price of a barrel could easily break through the $80 mark and stay there. If this were to happen it would be dire news for drivers and we could even see pump prices heading towards the record highs of April 2012 when petrol hit an average of 142p a litre and diesel 148p,” said RAC fuel spokesperson, Simon Williams. It's more important than ever to know which cars actually reach their claimed fuel economy, and what you might end up paying in running costs. That's why we made Real MPG - which now has over 160,000 submissions of drivers' actual fuel economy figures.